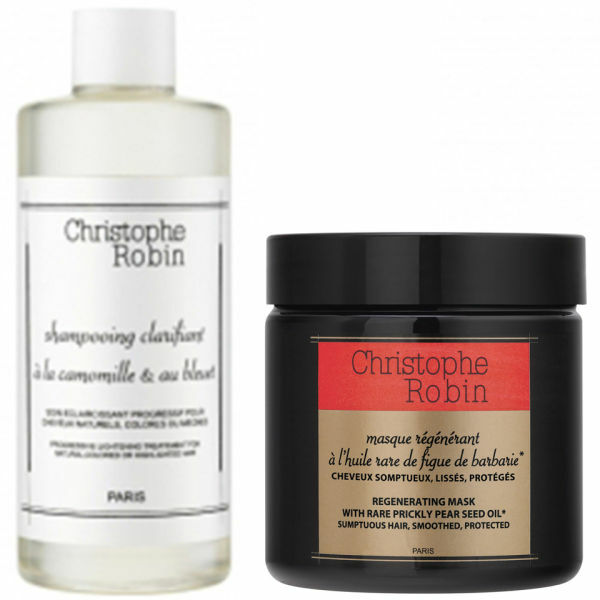 Cleanse, naturally lighten and rejuvenate hair with this nourishing and effective duo from Christophe Robin. 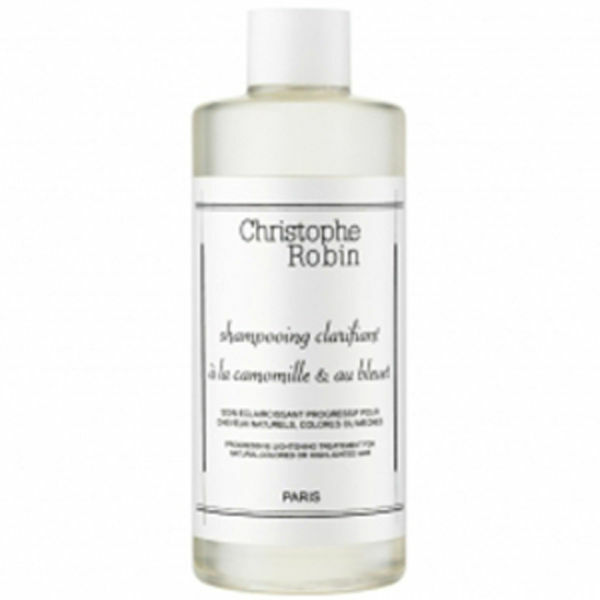 Containing a lightening cleanser and an intense hair mask, the Christophe Robin set is all you need for clean, soft and healthy looking hair. A progressive lightening treatment for natural, coloured or highlighted hair. This fantastic shampoo gently eliminates residues and excess pigments that can build up on colured hair so you will be left with a fresh, beautifully looking hair. A wonderful multi-tasker, it regenerates the roots, seals split ends and boosts the intensity of your hair colour. Within minutes, the appearance and texture of your hair will be transformed. Apply Clarifying Shampoo to wet hair and massage into a lather. Rinse thoroughly and follow with conditioner. 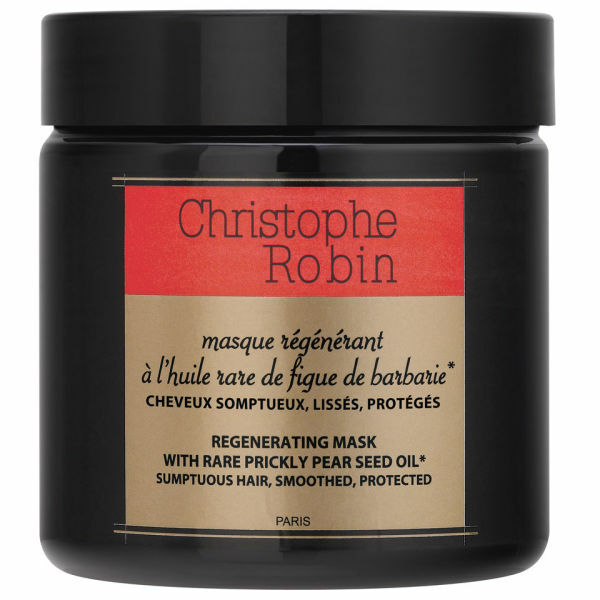 Apply a small amount of Regenerating Mask from root to tip atfer washing. Leave for 5-10 minutes and rinse thoroughly.